Every moment of this podcast is lovely. A window of hope into humanity. Wherever you are, whoever you are, this podcast will give you hope and insight into someone elseâs experience. Get carried away by the humbling, beautiful stories from people all over the world. Chris is a remarkably insightful and hilarious host. Canât get enough. Reviewing podcast overall and love it! Lots of young folk speaking, which is also relevant to someone older, like me (66). Often hearing of hardships overcome due to parents, and yet, as a parent of older children who are the age of many I hear in conversation with Chris, itâs important to realize these parents had parents too! And, itâs a blessing for me me to continue to grow as someone who can change the course of things for me while also representing for my grown children. So, this perspective of the older parents comes to my thoughts a lot while listening. In addition, of course, to the great inspiration to be open, communicate, and share in community. Love that there is s positive and protected community online!!! Bravo Chris and all at Earwolf! Iâve been an avid listener since the beginning. Beautiful stories from anonymous people- pretty simple concept. Some stories are better than others but there are lots to enjoy! Many times Iâm left thinking about these people days later. Chris seems like a genuinely caring guy. Prefer that he leave the politics out of this though, which occasionally come up. There are enough places we can go for those discussions. Favorite podcasts! It really shows you that everyone has a story. Gethard is an incredible conversationalist and funny!!! I listen to every episode because even when I think the call will be boring or irrelevant to me I always hear something interesting. Chris is a great host who has a great knack for connecting with each caller. Chris Gethard hosts one of the most humbling and down to earth podcasts out there. Real people having real conversations about real life. I listen to the show every week and I am never disappointed. It always brightens my day no matter what the subject is for the call. I know that the community surrounding this podcast is full of love and support and it warms my heart! Chris is such an amazing host and I feel like every caller feels some sort of connection to him and is always comfortable speaking with him. I love this podcast and I recommend it to everyone that asks for a good podcast to listen to. This podcast is so fun and humbling. I love hearing about other peopleâs experiences and lives. Chris is adorable. Been listening since THIS AMERICAN LIFE. Good weekly juice. I have been listening since it started, and Iâve never missed an episode. Itâs a weekly must listen. Every episode is different and gives you a beautiful glimpse of the live of a stranger. Have you ever been in a crowded room and wondered what the person across from you has been through? This is like getting an opportunity to finally find out. You know all those people that youâll probably never talk to, but see everywhere, and youâve always wondered what theyâre thinking and why? Hereâs a glimpse. Chris Gethard is one of the best conversationalists, and there is no better person on the earth to talk to strangers about the mundane and the fringe, with humility and empathy. Small views into the life of strangers, and at the end, they donât feel like strangers - cause they arenât anymore. Hats off to you Chris, youâve created a simple and real safe space. Best podcast! Love Chris G! Chris is such a kind soul and really takes the time to get to know each and every caller! Every show is different and awesome! Loved this show from the beginning. Every episode offers a little something different. I love people. But sometimes I donât want to talk to people. Thank you, Chris Gerhard and crew, for letting me find that joy of learning a humanâs quirks and common threads... It means I can be âemotionally socialâ while walking my dog or grocery shopping with my headphones pressed in my ears. You never know what you are going to get! Eye-opening and a great does of perspective. Feels like an hour long bus ride next to a talkative stranger, except you can opt out whenever you want. Love this podcast! This show gets me through long drives and reminds me of the beautiful thing that humanity can be. I love Chrisâs approach to having a casual conversation with a random stranger and the wealth of thoughts, emotions, and experiences that are shared. This podcast makes me laugh, it makes me cry sometimes, but most importantly, it reminds me that the world is full of people out there just living life going through the same or similar experiences I am. Look into the lives of everyday people from across the globe and hear their stories. Have your eyes opened, your heart aching, your belly laughing, and your mind expanding. No one could host this show better than Chris. Iâve been listening to this show for years and itâs full of love and all that is good in this world. Even though some subjects are hard the people are all doing their best and looking fir the good. Must listen! Entertaining and empathetic. SO GOOD! I discovered this podcast early on. Binged the first few episodes and then have listened every week. Chris is someone you would want to be friends with. Genuine guy. I eagerly wait for the next episode to drop. The host has such an amazing personality and is so easy to listen to. I love the anonymity this show offers. There is always something new to learn based on various situations Iâve listened to. Highly recommend! I love this podcast. Thank you for making it happen! This guy teaches me how to be a better active listener. Chris Gethard has created a unique podcast where his charming humor and genuine curiosity and sense of compassion converge to make such a great listening hour for the rest of us. The conversations he has with anonymous strangers are intimate and fascinating, and my teenage son and I listen to these together and sometimes pause them to interject our own opinions or thoughts with each other. Thatâs how describe Chris Gethard. I recommend this podcast to everyone because I think we all need to do more listening to one another. Chris is a natural conversationalist and genuinely is fascinated by people from all walks of life. I love his self deprecating humor as well. Heâs brilliant but youâll never hear him say that. This show is AMAZING! It has honestly restored my faith in humanity and made me see that there are still good people out in the world. The community surrounding the show is literally âbeautifulâ. Started listening about 2+ years ago after I saw Chrisâs HBO special. Some very poignant episodes, some funny and insightful. The discussions with people of all ages helps bring insights into their approach to life. Hearing about his NJ experiences always bring a smile to my face although 30 years separates us, the NJ attitude has not changed. Lived in Clifton, JC and Waldwick and still love Taylor Ham. Living in Phoenix now. Thanks Chris! Everyone should listen to this podcast! Itâs funny, heartwarming, thought-provoking, and Chris is the absolute best. Canât help but love him. But perhaps most importantly - itâs one of the best ways I know of to learn about all kinds of people, and so many different ways of living. You wonât regret subscribing! Chris is such a good listener. Chris Gethard puts so much kindness and humility and empathy into the world, and he gets it back and shares it with everyone with these hour long conversation with strangers. Really lovely to listen to and peek into lives with Chris Gethard. Heâs the perfect host for this kind of show. âRing. Thank you for calling Beautiful Anonymous. A beeping noise will indicate when you are on the show with the host. Beep. Hello?â So begins our weekly conversation with an anonymous stranger. Hosted by the unassuming, curious host Chris Gethard, this podcast is a gem. Each episode affords a chance to talk with someone who actively shares the more intimate aspects of their lives. Some are deep, some are chattyâand all give us a chance to hear unique life experiences firsthand from someone willing to tell their story. I love life storiesâIâm a therapist, so I love listening and getting a chance to learn about how others experience life. You will love this quirky little corner of the world. Give it a few episodes and you will become fascinated with the diversity of lifestyles and experiences that are revealed through these chats. Have fun! Thanks Chris! I look forward to this podcast every week. It's real, it's sincere, it's sometimes sad, sometimes funny and always relatable. The hour just flies by and I think you will love it. I look forward to hearing Chirs once his first baby arrives as many of us know how dramatically that changes our lives. Check it out if you want to feel "all the feels". Moves me to Live My Best Life! What beautiful stories from strangers. Feels like they could be my friends by the end of the show. Chris is a fabulous host. Community. This community is everything. We hardly ever consume any media nowadays that has to do with honest conversation between regular people. 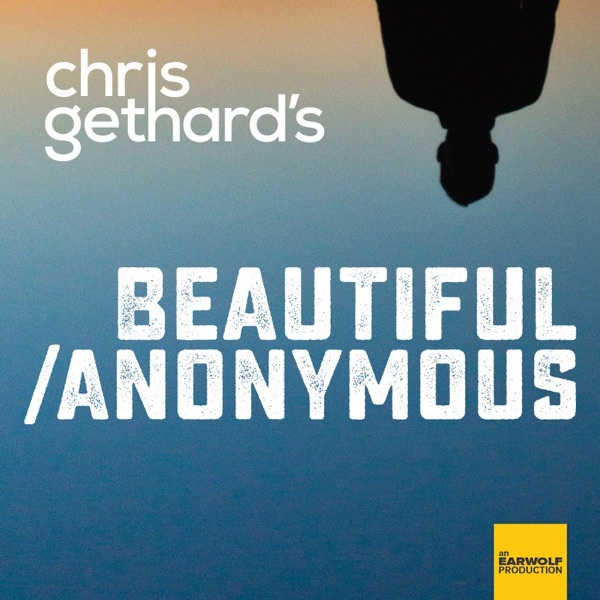 This podcast provides just that, and with it a relief I didn't realize I needed from a podcast until I started listening to this show.By applying his improv skills and genuine curiosity for human beings, the host Chris Gethard gets to the heart of what's interesting about the average person on the street.I'm routinely impressed by the unexpected twists these conversations take, and I've yet to hear an episode where I'm not thoroughly entertained by the end. Iâm completely hooked. This podcast lets you know youâre not alone and things are going to get better. Itâs really great hearing stories every week. Some crazy, some ordinary. Chris infuses every interview with a lot of love and understanding. BA is a rare gem. Always fun to hear a chill caller interacting with Chris! This week a great example of why I am hooked on the podcast. Everyone you will ever see has an ocean deep life. Thatâs easy to forget, but Chris is here every week with reminder examples. Hearing the most regular guy thrown into the water with another person has honestly helped me get confident to talk to strangers in the bar or at a gig. Sorry I was late Geth! Meant to hit it yesterday! Only podcast worth listening to! Iâm consistently charmed and engaged by this podcast. Absolutely worth a listen (or many a listen). Like catching up with old friends every episodeâeven though itâs a new stranger each week. Have never laughed out loud so much listening to a podcast alone! Love it, canât get enough. Highly recommend. This has been one of my favorite podcasts for a couple years now, with its heartfelt approach to shining a light on slice-of-life stories.